In terms of preferred feet, Moussa Dembele is a right footer, like 69% of Olympique Lyon. Back in 2018, French forward Moussa Dembele's contract with Olympique Lyon (France), the club he is still a member of, took effect. Since he came into world in 1996, to be more precise July 12th, the forward is two years younger than Olympique Lyon's average player. These days, his team Olympique Lyon comes second place in group F of UEFA Champions League plus eleventh place in Int. Champions Cup. Moussa Dembele had 29 match appearances this season. He stands 183cm high and thus is 3cm taller than his team on average. Throughout his time as professional football player, he was sanctioned with a card 14 times resulting in a mean value of 0.48 cards per play time. This season he was given but one penalty. Further, Moussa Dembele also operates for France. He reached the 181 appearances milestone as a professionl, the last one being today. While being substituted more in than out this season, the contrary occured the year before. Moreover, he shows 55 out and 60 in substitutions in total. 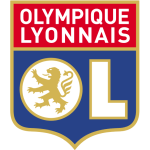 Moussa Dembele completes Olympique Lyon's offensive department, alongside players like Maxwel Cornet, Reo Griffiths, Lenny Pintor, Bertrand Traore, Martin Terrier, Nabil Fekir, Memphis Depay and Amine Gouiri. His shortest spell with a club currently counts six months in his latest side. So far in his career as football player, he was part of three clubs. Weighing 163.14lb, Moussa Dembele measures 1lb more than the average player on Olympique Lyon. So far this season, he won 17% in UEFA Champions League and lost 67% of Olympique Lyon's matches in Int. Champions Cup. Unfortunately they lost the entire set of their latest fixtures. His longest stay in a team counts two years and 7 months in his current club. 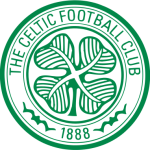 Moussa Dembele is enjoying a great UEFA Champions League 18/19 season so far, netting twelve times (8.3% of his team's sum) and initializing four goals. This leads to roughly 0.14 assists and 0.41 scores per match in the resent season. One could say he translated to a slightly improved form compared to last year yielding a per-match-quota of 0.44 goals and 0.08 assists. 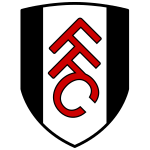 Before joining Olympique Lyon, he impressed at Fulham FC and Celtic FC. Premiership 16/17 (United Kingdom) has been his best season so far since he scored both his personal highest amount of goals and assists. Moussa Dembele plays with the jersey number 9.